Encyclopedia of Haunted Places was the first directory to be written by dozens of the world’s leading paranormal investigators. Research notes, location background, first-hand accounts, interviews with leading paranormal researchers, and many anomalous photographs featuring ghostly manifestations comprise the hundreds of haunted listings in this directory. 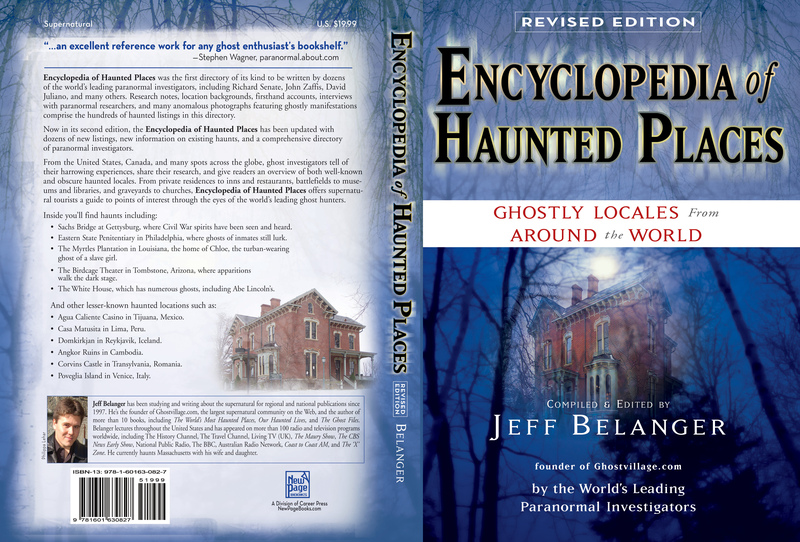 Now in its second edition, the Encyclopedia has been updated with dozens of new listings, new information on existing haunts, and a comprehensive directory of paranormal investigators. For years, paranormal investigative groups have been studying their local ghosts with scientific equipment as well as with more esoteric methods, such as psychics and séances. This directory is a repository of some of their most profound cases. From across the United States, Canada, and many spots around the globe, ghost investigators tell of their sometimes harrowing experiences, share their research, and give readers an overview of both well-known and obscure haunted locales. From private residences to inns and restaurants, battlefields to museums and libraries, graveyards to churches, Encyclopedia of Haunted Places, Second Edition offers supernatural tourists a guide to points of interest through the eyes of the world’s leading ghost hunters. This reference also offers names, addresses, phone numbers, and Web addresses to each location covered. Feeling brave? You may just want to stop and visit some ghosts on your next trip. This book is in its first printing. To inquire about rights, please email rights@jeffbelanger.com and we will forward your request to the appropriate party.